With each passing year more technology is packed into the handheld rangefinder devices than ever before. 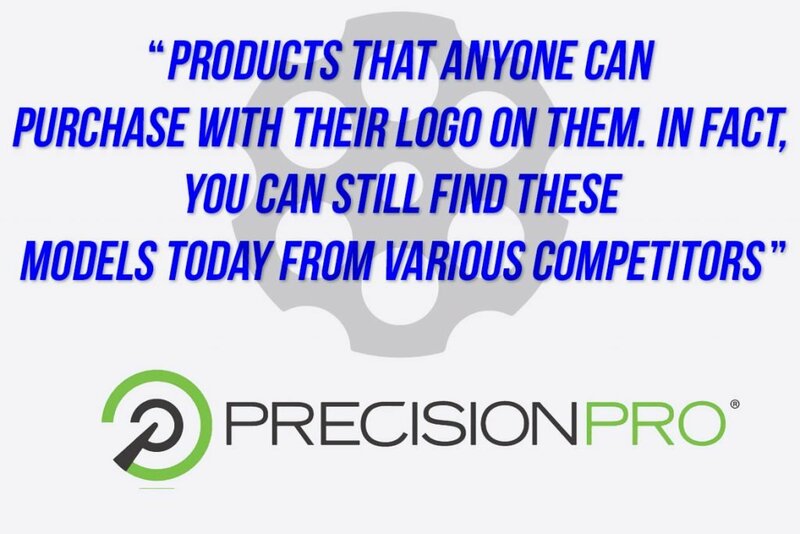 In the past 12 months, Precision Pro has managed to put out an extremely high quality device, with great customer support at far less than most others in the space. We wanted to get a lot more information on this growing company and that means another episode of Quick Six. The six questions you want answered most, directly by the people behind the brand. THP: Precision Pro burst on the scene a few years ago as a value proposition to consumers, and that has continued, but your product does not scream “cheap” anymore. Can you explain what changed? ours. While both rangefinders complete the task of laser rangefinding, we believed we could offer a better quality product by designing and manufacturing our own. While this step required us to absorb more cost in design and manufacturing, we have been able to hold the value proposition by helping golfers hit more greens with a quality product at an affordable price. The results have been fantastic. We ultimately ended up with an in-house designed line of products that are all still available today, including the Nexus and our current flagship line of NX7, NX7 Pro and NX7 Shot laser rangefinders. They are all more advanced in every way – better technology, sturdier build, easier to use – and they all remain hundreds less than comparable models on the market. THP: You have a warranty that is unlike anything else in the space with battery replacement. Where did the idea come from and how has it worked so far? Precision Pro: The whole idea behind the two-year warranty and free battery replacement is to have the best customer experience in the industry. From the very beginning, we saw that delivering great customer service was a way for us to separate ourselves from the bigger companies who don’t value customer service. We listened to our customers and identified a huge unmet need regarding the hassles they experienced when trying to fix a faulty unit, or have a battery replaced, or even just getting a question answered. THP: The company is lean and mean as we like to say. Tell our readers something about the group that they may not know otherwise and how many hats each person wears to create this brand? Precision Pro: We are lean for sure, but not quite as lean as we used to be. Precision Pro Golf was started by two golf nuts running everything from sales to finance and accounting to design to operations and customer service. Our team has grown over the years, but we still have a small-business mentality. And we think that mentality helps us serve our customers better than our competitors. Indeed every “info, help or sales” email from our customers goes to every employee inbox in an effort to insure no stone goes unturned. Emails are all returned within 24 hours and more likely within 60 minutes. Phone calls to the company ring to our cell phones and when you call, you will speak to Clay, Jonah, Alex, Chris, Seth or Jesse – all of whom are golfers that are passionate about the game and not some call center overseas. THP: The NX7 line of rangefinders received an extremely positive review on THP from our writers and currently I am using one as well. When looking at future products, how much room is there to improve on this line that is viewed as excellent now? Precision Pro: R&D is something that is on our mind all the time. The technology of laser rangefinding is well established and is a straightforward process, so disrupting the market is quite the challenge. One thing we do continually is listen to customers. One innovation that came from customers that we included in the NX7 series was to make it easier to hit the target for those golfers with shaky hands by expanding the laser view. What has resulted is a laser rangefinder that can actually find not only the flag, but the stick for most golfers, so we believe we hit a clear benefit there. 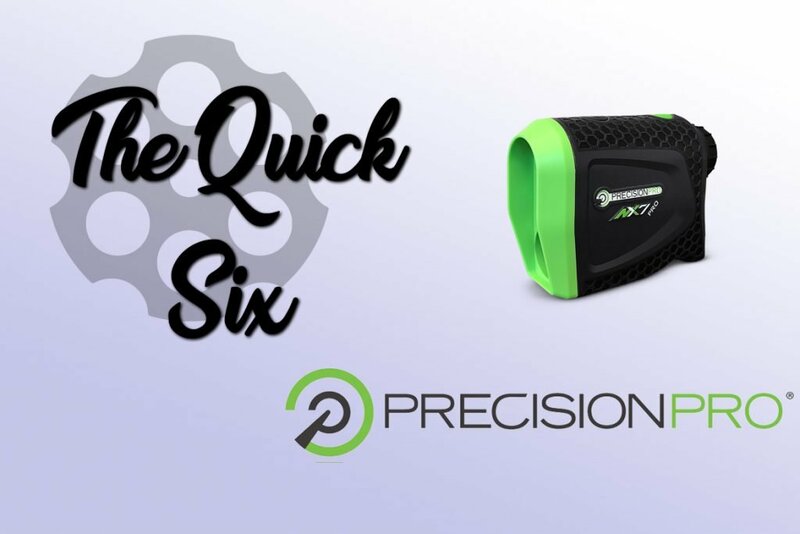 While we are considering improving the features such as optics and speed, we spend a lot of time trying to figure out ways to help golfers benefit by proper use of the laser rangefinder. Not only should they know their distance, but they should be able to hit more greens and thus be able to employ the laser rangefinder in their practice as well. Loads of things to think about, but we intend to have the most advanced line of rangefinders for under $300 in 2019… stay tuned! THP: The company has more than just lasers, as the GPS band is currently available as well. For those that are trying to decide between GPS and Laser, what would you tell them? In 2018, we have decided to discontinue the current GPS Golf Band and spend some time developing how best to use our GPS technology going forward. We will be working with customers and engineers to develop a GPS platform that supports our mission of helping golfers hit more greens and thus have more fun playing the game. THP: What does the future hold for Precision Pro and when can THPers expect new and exciting things? Precision Pro: As we move forward, we’re refining our mission to help golfers improve their game. We want to do more than just deliver the best transactional and customer experience. We want to help golfers enjoy the game of golf more than they did previously. We will continue to talk with customers and play a lot of golf to continue to improve our offerings both in feature improvement as well as the ultimate benefit of swinging confidently and hitting more greens. It’s a lofty goal, but that’s what drives us. Have you tried a Precision Pro rangefinder or GPS in the past? What do you think about the brand and approach they are taking? Join us in the THP Forum to discuss this interview with the up and coming brand and let us know your thoughts. Have heard nothing but good things on the Nexus line. Nice insight into the company- customer interaction is built into the very core operations. I like their message. Positive, honest and non-elusive. I love their openness with their first products. So many companies took that route and never graduated from that business plan. It’s nice to see PrecisionPro growing and putting out inshouse designs that compete with the best in the market. LOVE the answer about customer service! I picked up a Precision Pro at the end of the year after reading about them here. I love it. Would like ti try one of these out, i’ve tried a coule other brands and can’t hold them still enough. I like their company customer policy. Interesting. The price has been what’s kept me from jumping in the range finder market. Cool to see a company improving their tech but still trying to keep things affordable., relatively speaking. Thanks for the write up. Fantastic Q&A definitely gave me insight into a brand I wasn’t too familiar with. I like how they’re evolving but continuing to put a premium on customer service and response time. The warranty programs seems fantastic as I know it is a hassle with some of the bigger names in the game.